Freedom Rockz: Free Krispy Kreme Doughnut! 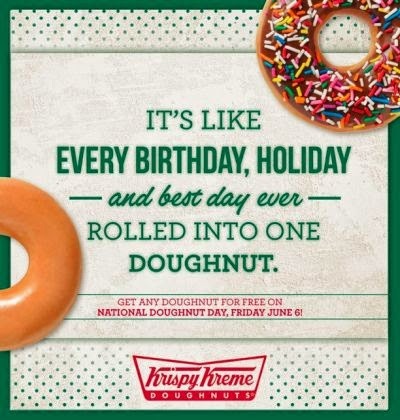 Free Krispy Kreme Doughnut on June 6, 2014 for National Doughnut Day! Click the link below to go to the Krispy Kreme Facebook page to get the details. Happy Doughnut day! Now that's a great day!